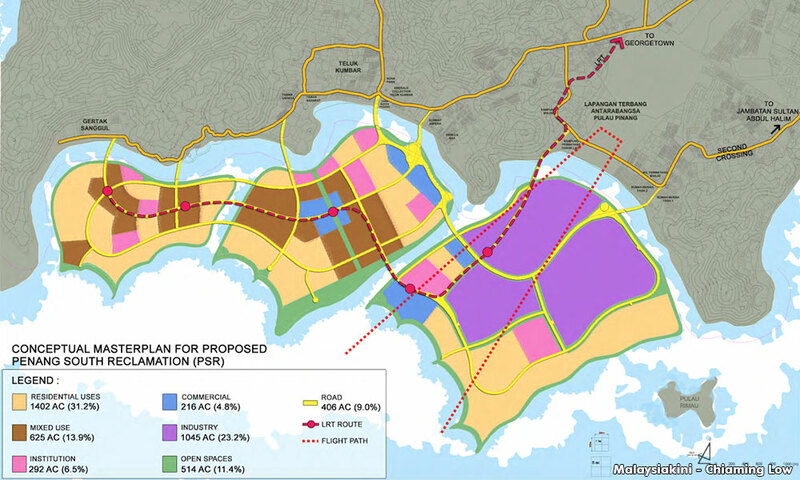 The Penang South Reclamation Scheme looks good on paper … at least to local politicians and developers. It would be a massive overhaul of the fast-developing island’s southern shoreline complete with the construction of two new artificial islands off the coast (of about 2,000 acres and 1,300 acres respectively) with a third 800-acre island coming later. In radically reshaping the local landscape, however, the project would risk putting local marine and shoreline ecosystems at risk. Enter Natural Resources and Environment Minister Wan Junaidi Tuanku Jaafar. 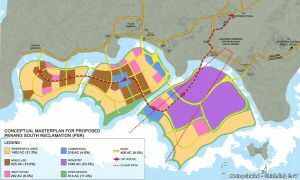 Not only will the massive reclamation project pose a threat to the local environment, the minister stresses, but it would change Penang state’s continental shelf itself while possibly creating an international crisis. “This means ‘pushing’ the continental shelf further into the sea, and that could be encroaching into international waters, possibly bringing in problems with neighbouring country,” he has been quoted as saying. Local fishermen have long been dead set against the project, insisting that it would endanger their livelihoods. Wan Junaidi has come down firmly on their side. “The marine resources would be endanger­ed, causing extinction to marine lives and plankton, which are the food source for them,” he has stressed. So who is right? That depends. If you value the health of the environment more, you’ll probably side with Wan Junaidi. If you think economic development trumps environmental considerations, you may well side with Penang’s chief minister. Here at Clean Malaysia, we know where we stand. We have long insisted that economic development is a must for Malaysia for a variety of reasons: social, political and humanitarian. But we also believe that such development must not come at the expense of the country’s wondrous yet increasingly beleaguered environment.